The Snapchat image and video instant messaging application has rocketed in popularity among teenagers. Since 2012, the number of active users climbed from 10 million to more than 100 million in early 2015. More than 400 million snaps were received by users daily in December. In contrast, it would take both Facebook and Instagram combined to achieve the equivalent numbers in a single month. Snapchat has been trialled in a few schools. However, it has yet to be implemented on a larger scale in education, and even more specifically, no lecturer has integrated Snapchat into chemistry laboratory teaching. 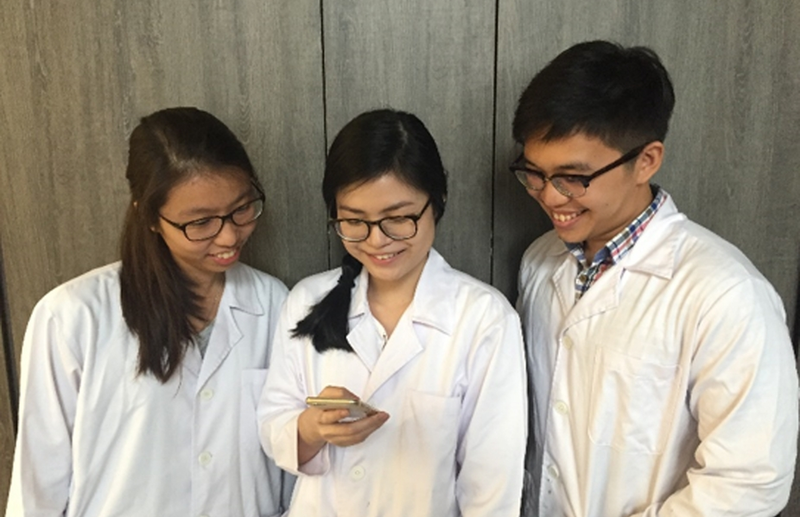 Since most students are constantly using their mobile phones, we explored the use of Snapchat as an educational platform to strengthen both the chemistry practical and theoretical concepts learned during the laboratory curriculum at any time. This can be done when students access the app during and after the laboratory session or when they are using their phones on their way home. We specifically targeted the time outside of their chemistry lessons or when chemistry concepts happen to not be on their minds. The main challenge of implementing Snapchat as an auxiliary teaching tool arises from its unorthodox user interface and ever-changing functions. Despite these challenges, we applied Snapchat in our second-year practical class. In our pilot project, Snapchat assisted both teaching and learning by providing students with access to short videos uploaded by the lecturer in real-time, while incorporating the pedagogical concept of connectivism. A possible content of these videos can be a demonstration of the correct execution of a certain procedural step that is usually done wrong by the previous batch of students. Besides, the lecturer can also instantly film a mistake that a student has committed without revealing the student’s identity. The lecturer can then illustrate to the whole class through the video so that other students can learn and not commit the same mistake. This approach makes information dissemination much quicker, especially when the lecturer and teaching assistants (TA) are not able to attend to every single student at the same time. This quick feedback also appeals to the students’ need for instant gratification – they learn something immediately after viewing the videos on the app. By making use of these networks, students will be able to adopt the stance and different opinions of others. It is not possible to experience everything by oneself, so the student can learn from others via collaborative learning. Connectivism is now made possible with the advancement of technology that brings about social media apps like Facebook and Snapchat, to allow live sharing of content. In this project’s context, even if students don’t make mistakes themselves, they can still learn from their peers’ examples through watching the snaps. These uploaded images and videos serve as pictorial examples for students to visualise, observe and learn from. We endeavoured to foster heuristic learning whereby students self-determine what they learn. With the heuristic approach in mind, the instructor commences the learning process by guiding students and supplying them with different resources. In the context of this project, many snaps are uploaded by the instructor onto Snapchat stories. Students have the choice to decide if they want to access the app and watch all the stories uploaded before they expire in 24 hours. This project was carried out on a cohort of 104 chemistry undergraduates enrolled in a second year laboratory module at the National University of Singapore. A preliminary survey indicated that 61 students were current or former Snapchat users. During laboratory sessions, the lecturer recorded snaps as he made his way around the lab to check on the students’ progress. On occasions when the lecturer demonstrated the use of lab instruments, a TA recorded the snaps. A Snapchat public account was created for this to facilitate the sharing of the real-time contents with the students. To upload content onto Snapchat story, the flowchart illustrated in Figure 1 can be followed. First, the instructor opens the app to capture an image or video. Once the content is captured, the instructor would add a caption to explain the main message in the snap or to pose a question for the students to think about. The screenshot shown in Step 2 will be observed at the bottom of the captured snap. If an image was captured, the user chooses how long the image will be shown to the viewers. For this project, the timer was always set at the maximum time limit of 10 seconds to allow sufficient time for the students to read the caption and look at the image clearly. Next, the instructor clicks on the blue “Send to” button followed by checking the “My story” option to publish the image or video onto Snapchat story. Alternatively, the “Story” icon shown in Step 2 can be directly selected as well. The final step shown in the flowchart shows the icon of the successfully uploaded story (Figure 1). Mobile phone usage is not prohibited in the laboratory due to consideration of possible emergency situations of family and friends that the students might need to attend to and photo-capturing of experimental observations for the students to compare and think of possible reasons for these experimental observations. Therefore, students could view the stories during the laboratory session, as well as after their sessions. Since viewers of the stories are not able to save the stories before they disappear and can no longer be viewed in 24 hours, students are motivated to view the stories before they leave. We believe that this 24-hour restriction encourage students to view the stories again right after each laboratory session, as a form of revision and reflection on the lab events. During laboratory sessions, most of the snaps recorded students’ mistakes to encourage peer learning. For example, for 1H nuclear magnetic resonance (NMR) analysis, several students used a spatula to transfer their solid sample from the centrifuge tube into the NMR tube. As the width of the spatula was wider than the aperture of the NMR tube, some spillage occurred (figure 2a). A correct demonstration of inverting the NMR tube and then directly inserting it into the centrifuge tube to retrieve some product into the NMR tube was then recorded and uploaded (figure 2b). Other examples include correct demonstrations of laboratory techniques (figure 3a). In addition to learning from mistakes, students also made good improvisations to the experimental procedure, and these were recorded and uploaded onto Snapchat as well. In addition, snaps with questions were uploaded to encourage the students to reflect on the procedure. (Figure 3b). Different types of questions were also posted as Snapchat stories, possibly to aid students in the completion of their written reports (figure 4a). The answers to these questions raised in the snaps were revealed at the end of each week’s laboratory sessions to promote the good practice of empowering the students to think of responses before the solutions are revealed to them (figure 4b). From the uploaded Snapchat stories data on viewership, it was found that more than 80% of the students watched the snaps. The highest record of viewership of a single video/image was 55 (figure 5). On average, stories garnered about 36 views among 61 users. The highest viewership recorded was 54 and the lowest, 25. The higher viewership was observed in later weeks, which suggests that more students found the snaps useful and checked their accounts more frequently to view uploaded content. Some students also took screenshots of the stories to save them in their phones. This was due to the ephemeral nature of snaps, since they would disappear after 24 hours. At the end of the Snapchat trial, a survey was given out to the cohort. 41 users’ responses were collected. In figure 6, the incorporation of Snapchat into the laboratory module was well-received by the students. 85% of the respondents agreed that the snaps uploaded aided in their revision, while 78% agreed that the application enabled them to learn better during the laboratory sessions. In addition, 83% were comfortable with using it for educational purposes. The last survey statement also garnered very positive response as 83% of the respondents hoped that such an app will be used for future lab teaching. The result implies that students indeed gained from the stories uploaded and would like this mobile app to be present again for their future learning. Snapchat allows users to snap photos and videos of up to 10 seconds. At first, this 10-second duration may seem too short to fully deliver content across the screen. However, it could be a way of dealing with the shorter attention spans that many youth possess. Moreover, these short videos compress large chunks of information into granular level for more focused learning. Overall, the use of Snapchat as an instant video-sharing platform proved to be a useful pedagogical tool. The application can enhance the student learning experience by allowing the viewing of real-time images and videos uploaded by the instructors. This method overcomes the challenge of higher student-to-teacher ratios, promotes active learning and makes the educational process more enjoyable and engaging. Moreover, students are engaged in learning even after school hours as they can watch the snaps on the go. 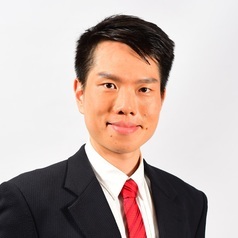 This article was written based on the author’s work with Alina Ang Sihui in her Undergraduate Research Opportunities Programme in Science (UROPS) project at the Faculty of Science, National University of Singapore.